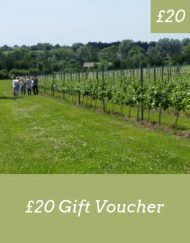 Your Bronze Vineyard Experience for 2 people comprises of a glass of wine, tea or coffee upon arrival, a guided tour of our beautiful vineyard & a tutored wine tasting to include 6 local wines. 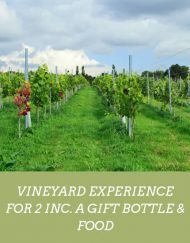 Scroll down for more information or choose ‘Add To Basket’ to buy it now or upgrade to Silver which includes 2 gift bottles! Amongst the rolling countryside of South Nottinghamshire, the vines of Hanwell Wine Estate are being hand-tended to grow grapes for English Sparkling Wine by 2018. 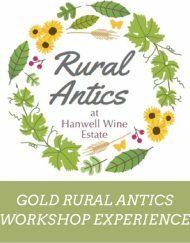 We look forward to welcoming you to Hanwell Wine Estate. Located in rural Nottinghamshire and owned by William & Helenka Brown. 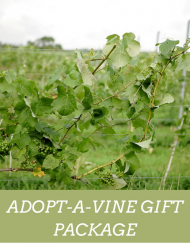 Vineyard life allows our family to combine two passions: first-rate grape-growing and the great outdoors. 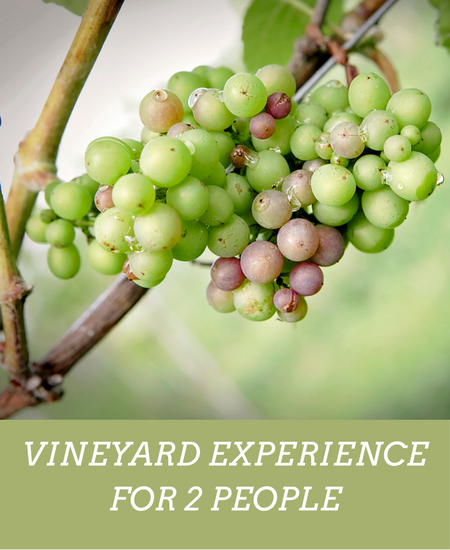 We’ll walk with you through the vines and share with you the vineyard story, the why, how and what’s next in a relaxed and friendly style. You are invited to taste wines from other Midlands vineyard, like Eglantine Vineyard, our parent vineyard and Hanwells first wines if they are ready by your tour date. 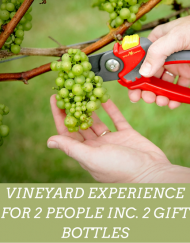 On purchasing this Bronze Vineyard Experience product, you will receive 2 emails from us; one will include a downloadable voucher and the other a coupon code. 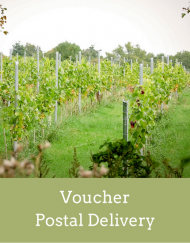 Print the voucher and write the coupon code in the space provided on the voucher, before you present it to your chosen recipient. Alternatively, simply forward the emails to your recipient. To book a visit, your voucher recipient will need to add 2 Vineyard Experience tours to his or her basket and use the coupon code printed on the Bronze Vineyard Experience gift voucher to receive those tours for free! The eVoucher is valid for 400 days from purchase.